I'm sure there are many of you out there that loved playing Final Fight, Double Dragon, or even Streets of Rage, but how many of you have heard of Winkysoft's 'Ghost Chaser Densei'? Probably not many outside of Japan, because this rather stylish side scrolling Beat em up was not only released in the Arcades as Denjin Makai and then Ghost Chaser Densei for the Super Famicom, but it was only ever released in Japan. Thankfully as of this week AgentOrange, MrRichard999 and rainponcho have fully translated the game into English, which means SNES owners can not only check it out, but they can bang a few heads along the way! Yes indeed, prepare to punch and kick your way through many different enemies and multiple locations, with up to two players in the year 2079. It's down to you as the Ghost Chasers to put a stop to the Ghost Terrorists, and their menacing organisation. 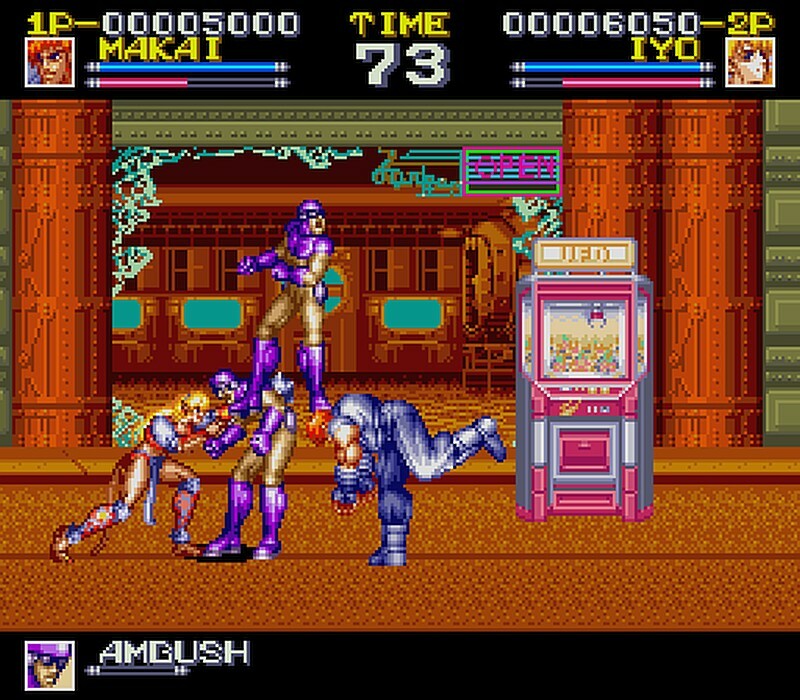 Featuring Arcade fun, powerful moves, items to use as weapons and health recovery objects, this is a game you might want to check out on your SNES. A patching program such as beat or Floating IPS may be needed to add the hack/patch to the main Ghost Chaser Densei (Japan) Rom, which isn't available here.